First off, many thanks to MAD’s Al Jaffee for the above extreme, but fitting image. Found elsewhere online, uncredited. I’d recognize his drawing style anywhere. It was glaringly apparent in those Lebanon, NH town records I was looking at last week. 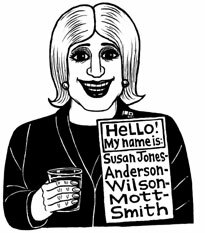 There may be an occasional “widow Reynolds” mentioned in a new road survey or “Sally McNeil” in the town poor house, but 99% of the names in there are William, Daniel, Thomas, Ziba or some other equally manly moniker. Any guesses for what the wife of Peter Gioia, Pauline’s maiden name is? Score 1000 points if you yell “Messina! Messina! Messina!! !” I’ve found SO many maiden names in this manner. It could be a maternal nephew or bonus multiple in-laws, as in the above Boston snippage. The maiden name is right there! And if you’re looking at 1850, 1860 or 1870 , where the relationship to the head of household wasn’t included, no need to fret! If I see an older Mrs. Wilson living with a Richardson family, I’ll most definitely be looking at Wilsons in the area as possible/probable parents for Mrs. Richardson, which of course, would provide her maiden name. If you’re looking for a hard-to-find maiden name, you’ll find that I may find out what that is. 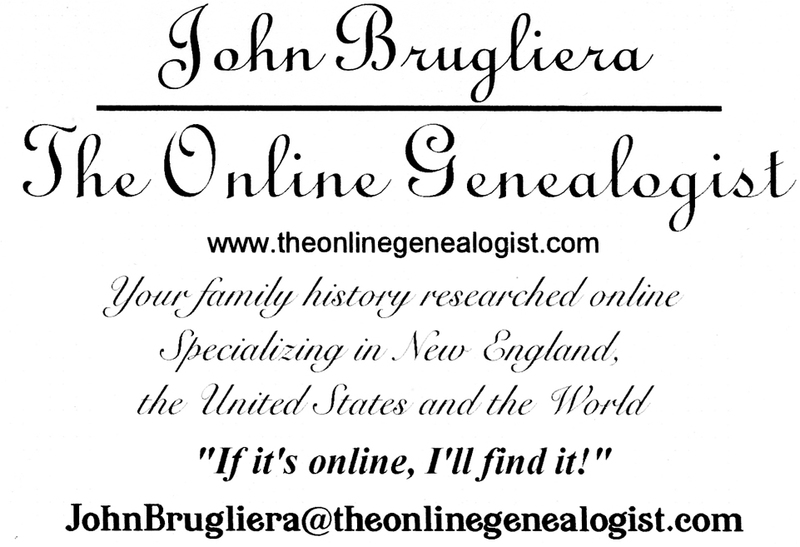 I’m the Online Genealogist!